Video blogging or Vlog is a form of blogging that disseminates the information represented through videos. Today is the age of online communication and when it’s done through Vlogs, they become more effective. With Vlogs, you can showcase your company’s new research and advancements to your entire section of the potential clientele. Marketers are of the view that its essential for more and more company professionals to get into the trend of video blogging. Vlogs influence their audience’s decision-making process and convince them to purchase products and services. Amidst all other marketing tools, hence Vlogs have the reputation of being the best influencers that can help your brand become more recognizable, besides providing different results like traffic and conversions. Nowadays, every entrepreneur is comprehending numerous benefits of Video blogging. With a vast transformation in the marketing world, vlogs have become the ideal method of communication. In this digital age when technology is at our fingertip, people seek information that is direct, precise, entertaining and delivered at a faster rate. A video blog or vlog, to put simply, are embedded videos incorporated in a company website instead of textual communications. Vlogs have the capability of building connections with your viewers like no other blogging format. These are the methods to introduce oneself and the company to the audience in an engaging way. What you further need to know is- you can use your video blog ideas to create several appealing visual forms. Interestingly, vlogs are not uniform in nature. You can integrate different types of vlogs on your website or publish them on several video sharing sites like YouTube or Vimeo. Video blog YouTube is an ideal source to discuss brand-related topics, introduce new products or present tutorials, while other video blog patterns can be story driven. To make the vlogs more interesting, you can introduce varied topic styles or convey company message more intriguingly. However, it’s essential to maintain the length consistency of each video blog. Wondering how to make a video blog on YouTube? It ’s comfortable and straightforward just like the website uploads. Just don’t forget the essential types of equipment like a suitable editing software, a camcorder and the entire purpose why you want to publish a vlog on such a favorite channel. Structure your video blog presentation with an impressive introduction and a perfect call to action. Introduce your viewers to the central theme right from the beginning. Focus on producing quality content. It’s essential to incorporate relevant ideas only. However, the rule is not to make your vlogs spammy with redundant information. In this age of low attention span, consumers would appreciate clear, concise and fascinating information only. Pay attention to suitable video editing techniques. To present a successful video blog to your audience, it’s imperative to engage them with the flow of the video. Improper use of lights or slow transition from one shot to another can drive your potential viewers and subscribers away. So, learn the basics of video editing before plunging into the marketing game. Consider using Video blogging equipment such as cameras, lenses and editing software like Movie Edit Pro and video blogging apps like WordPress, Livejournal etc to quickly and efficiently and design a masterpiece. Maintain a regularity of publishing video contents. Continue a chain of events and announce to your viewers weekly or daily updates of your video blogs. Once you gain your viewer’s trust, don’t deceive them. Present them with exclusive video blog presentations on a regular basis. Naturally, now the question comes up why should you invest in video blogging? 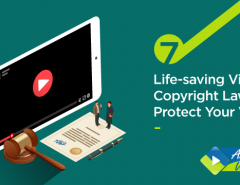 Whether you self-host a video blog to your website or use upload through free services like Vimeo or YouTube, it’s vital to understand that why should an entrepreneur commit to such a technique! 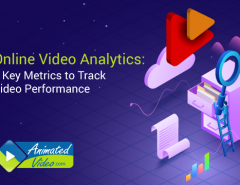 Everything makes clear when we take a look at the recent video marketing strategies; we find that over 82% of all internet traffic by 2021 will be video traffic. Therefore there are several reasons why one should consider spending on video blogs. Video blogs initiate trust. Market research shows that the audience gets more engaged with a company through videos. Videos are basically a representation of the human way a company functions and hence they become more trustworthy to the potential clients. Experts always put forth if presented correctly; a video blog can provide an emotional bond. Needless to say, according to consumer behavior buying decisions of people are mostly influenced by emotion. 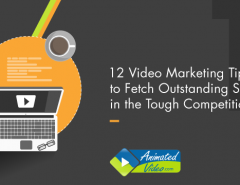 Findings reveal that videos rank better on Google compared to any other forms of marketing. Naturally, Google owns YouTube and 62% of all Google searches are now through videos. Hence, when you plan to create video blogs, you are eventually increasing your online presence enabling your potential clients to find you. Video blogging is different than textual blogging. Vlogs are the best source of perception for the audience. With this visual interface, credibility hence gets established well. Consumer behavior is highly related to psychology. Different areas of videos like the use of colors, the way of the presentation of the products all together enable the viewers to visualize their product. Undoubtedly, this act converts more leads. Today, the largest part of video viewers are the millennials, this generation demands variety and prefers to gather product-related information. Video blogging has the immense scope of influencing this millennial generation. Impress your viewers with the excellent flow of video blogging. Compared to textual methods of blogging, video blogging is the ideal method of communication for any entrepreneur because this form of blogging videos give your brand followers an official product/service. You get enough scope to provide product information creatively. Through blogging, you can hence reach a significant amount of audience. Needless to say with staggering information shared on the internet, consumers find it intimidating to pick the right brand. A vlog does the work, as it is more watched and understood by consumers. 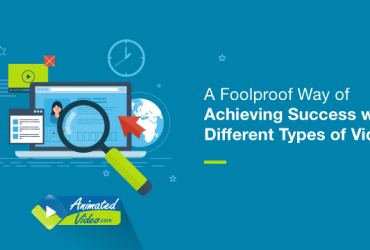 When a company continuously updates its website with video blogs and also take established channels like YouTube or Vimeo to reach to a broader section of clients, undoubtedly that organization receives large exposure. A peep in the market survey shows that videos are more watched, enjoyed and shared than the textual contents. So, its high time that you change your strategy and take the plunge into creating excellent video blogs. 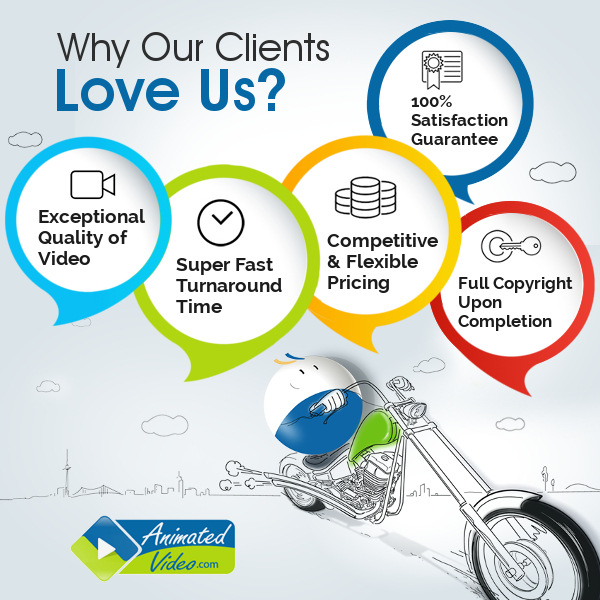 At animatedvideo.com we can take care of your video marketing campaigns and help you produce the best video blog ever. 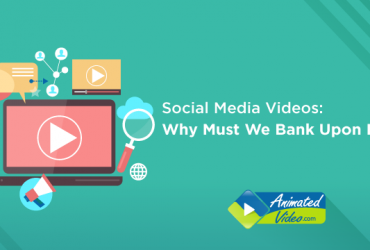 Next Article Social Media Videos: Why Must We Bank Upon It?